I'm still getting through my first year on TpT, and one of my goals is to expand my use of social media. Obviously, by skimming through my blog you can see that I've done a pretty bad job of blogging! But I've recently joined some amazing Facebook groups full of helpful, cooperative, kind teacher-authors, and I've been able to participate in some amazing opportunities lately! With the 2016 Cyber sale happening today and tomorrow, I wanted to showcase some of the top wish listed items in my store to help fill your cart! 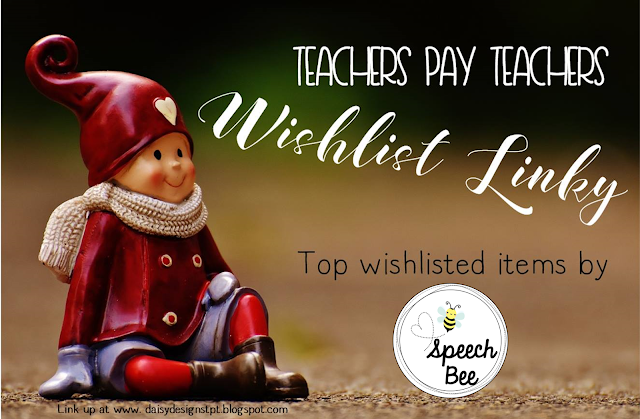 My top wish listed item also happens to be the #1 seller in my shop, and the most often referenced item in my classroom as well! 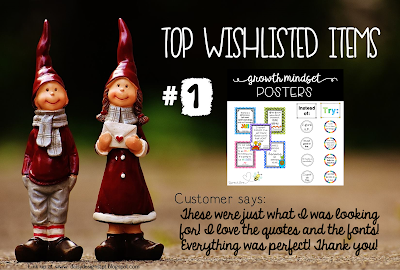 I have this growth mindset bulletin board front and center in my classroom, and I often reference the posters, and the general growth mindset teaching with my students. As a speech therapist, I have seen it be tremendously helpful with my artic students. They often need reminders that they can "retrain" their brains, their bodies, their articulators. It is hard, but as I point out on the bulletin board--rather than giving up, we see to find new strategies or to remember that it will take time and effort! 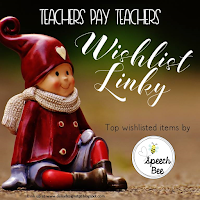 My second most wish listed item is one of the first packets I made for TpT, and still a best seller. Since I was a child, I always loved Eric Carle stories, and as a therapist, they are amazing books for my students. This is one of my favorite units every year, and I loved creating this supplemental speech and language companion for the Very Hungry Caterpillar! My third most wish listed item is this set of superhero speech brag tags! I created an entire Superhero themed set for my room this year, and included this awesome set of brag tags. I love to give them to students completing or working towards various goals. There are also editable options, which come in so handy, because as one buyer noted, "I'm glad to have the editable option as well, because we all run our speech rooms a little differently!" I love getting personal recommendations for items, and I'm filling my wishlist as I type! Make sure after all your wonderful purchases tomorrow that you leave fantastic feedback. Not only do you get money off on future purchases, you help future buyers make confident, informed purchases! Merry Christmas and Happy Shopping! 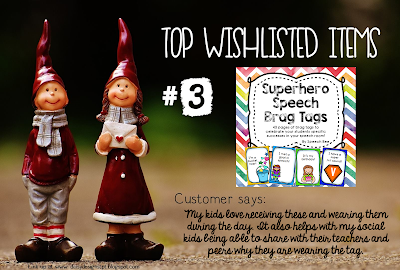 Click the picture below to see others' top wish listed items!